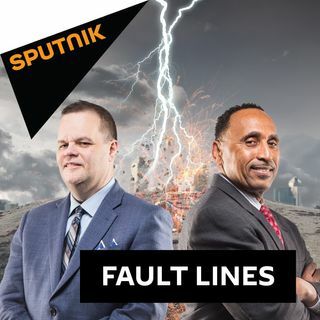 On this episode of Fault Lines, host Garland Nixon is joined by Producer's Eric Ladny and Kameran Evans to discuss the day's top news stories including the possibility that the Mueller investigation ends with a whimper. Will serious charges be brought, or are those members of #TheResistance who put their hopes in Robert Mueller destined for disappointment? Joel Segal - Former Congressional Staffer | How Do We Actually Pay for Bills on Capitol Hill? Ali Alexander - Conservative Strategist and Philosopher | Weekly News Round-Up: What Happened at Politicon & What's Up at Tesla? The American people are often skeptical about government spending and how Congress determines the means to pay for various bills. Former Congressional staffer Joel Segal joins the show to discuss his time working on Capitol Hill and to talk about how various bills and initiatives are funded in Congress. The murder of Jamal Khashoggi has had a major impact on both Saudi Arabia and Turkey as well as their relations with one another. James Carey, Editor at GeoPoliticsAlert.com joins the show to discuss the complex relationship between these two countries and how Turkish President Erdogan may be looking to exploit this situation for his own benefit. It is now clear that there was an effort by some major political players and intelligence agency operatives to derail the Trump Presidency before he was ever elected. Cultural and political commentator DC McAllister joins the show to detail these events and to discuss her new book entitled, "Spygate: The Attempted Sabotage of Donald J. Trump." For the final segment of the show, conservative strategist Ali Alexander returns to the program to talk about his experience at the 'Politicon' event in Los Angeles last week as well as some of the questions surrounding Tesla and its recent financial disclosures. Was Politicon indicative of the decline in influence of the legacy media, and is Tesla trending upwards or are its fundamentals structurally flawed?